Sandy Collora is a longtime special effects artist who helped create some of the more renowned and revered creatures in modern cinema. He produced and directed the fan film Batman: Dead End, hailed by filmmaker Kevin Smith as "possibly the truest, best Batman movie ever made". 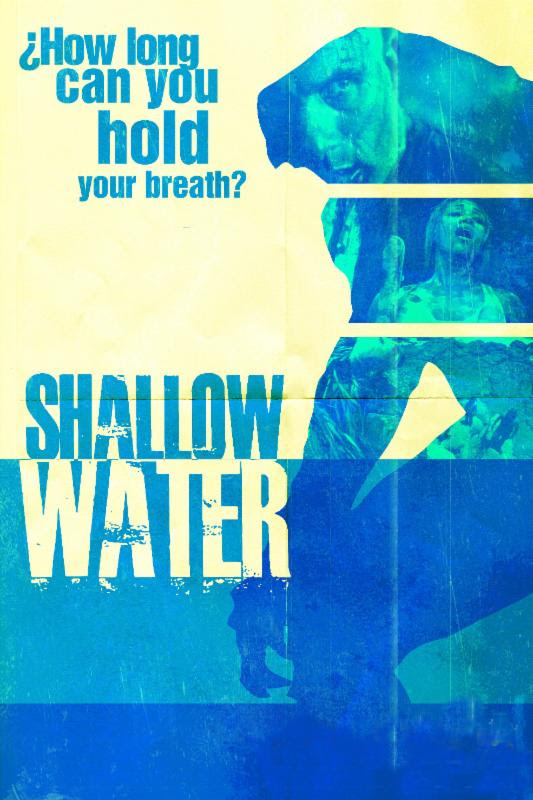 'SHALLOW WATER' combines Collora's three greatest loves - horror, the ocean, and the environment. "The underlying theme of Shallow Water is simple. Humans repeatedly disturb the ecosystem, and the planet gets pissed off." 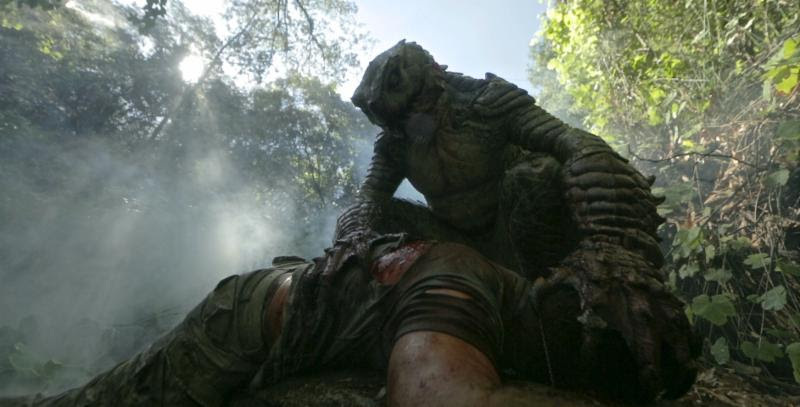 In the film, Collora introduces the Tiburonera - "he who hunts sharks", which he promises will be "terrifying and different". 'SHALLOW WATER' will be the first of a series that he plans to combine and release as an anthology feature, in the vein of Creepshow and Heavy Metal. Collora believes Hollywood has dropped the ball in introducing fresh new genre concepts. While he attributes it to pressures faced by studios to prioritize safety in meeting their bottom lines, he also feels sequels and remakes are now excessive, and have compromised the art. Laments Collora: "I love genre films. I grew up on the original Alien and Predator, and they are awesome. But it's too long since we had something new, unique and powerful in that space." After producing the feature film Hunter Prey, and publishing three volumes of The Art of Creature and Character Design, which he funded with the help of Kickstarter, Collora now returns to short film and to crowdfunding. 'SHALLOW WATER' proved too costly to finance as a feature with crowd funding, and that started Collora on the path of the anthology. He seeks $85K from fans to help him make it happen. "With Kickstarter, I can stay independent, and not compromise my vision. That was a big factor in the success of Batman: Dead End. But Shallow Water is longer, with more effects - more ambitious, if you will - so I hope to augment the cost with monies from Kickstarter. For this reason, I went to town on the Rewards for people who back it - great value at a low cost, and for those with more to pledge, some pretty intense limited edition collectibles. I was proud Kickstarter designated this campaign as a "Project we Love" on its very first day, and I think it was because of the cool Rewards." T-shirts, art books, production maquettes and busts/suits from the film are just a few of the available rewards. 'SHALLOW WATER' tells the story of a small group of fishermen who embark on a fishing trip to find a remote and mythical fishing hole deep in the Sea of Cortez. They scour the Baja peninsula, find it, but encounter unexpected sea life. Adds Collora: "It's Mother Nature versus Human Nature." "I love Sandy's work. This is a great story, the creature is fantastic, and I love the reliance on practical effects. 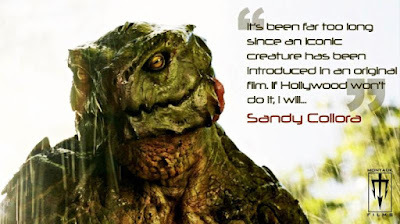 This is what the independent film movement is all about.." adds Steve Johnson, an Academy Award-winning special FX guru. Below we have a promo video.